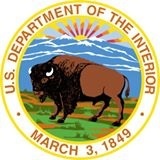 WASHINGTON – (RealEstateRama) — U.S. Secretary of the Interior Ryan Zinke today announced President Trump’s $11.6 billion Fiscal Year (FY) 2018 budget blueprint request for the Department of the Interior. The budget meets the Department’s core mission while also saving taxpayers $1.5 billion or 12 percent reduction from the FY 2017 Annualized Continuing Resolution level. The President’s budget blueprint prioritizes strengthening America’s energy security by increasing funding for programs that support responsible development of oil, natural gas, coal and renewable energy on public lands and offshore waters. The blueprint also sustains funding for DOI’s collection and disbursement of roughly $10 billion annually for mineral development, an important source of revenue to the Treasury, states, and Indian mineral owners. The President’s budget blueprint also eliminates some duplicative programs, including discretionary Abandoned Mine Land grants that overlap with existing mandatory grants, National Heritage Areas that are more appropriately funded at the local level, and National Wildlife Refuge fund payments to local governments that overlap with other payment programs. The budget reduces land acquisition funding by more than $120 million and focuses available discretionary funds on investing in and maintaining existing parks, refuges, and public lands.